The Traditional 1903 collection features period styling that provides a luxurious feel to everyday life. This 65 two door vanity unit has soft closing doors and an adjustable wood shelf. The unit is fitted with mounting rails and brackets for adjustable and quick installation and comes with a plinth and adjustable feet. 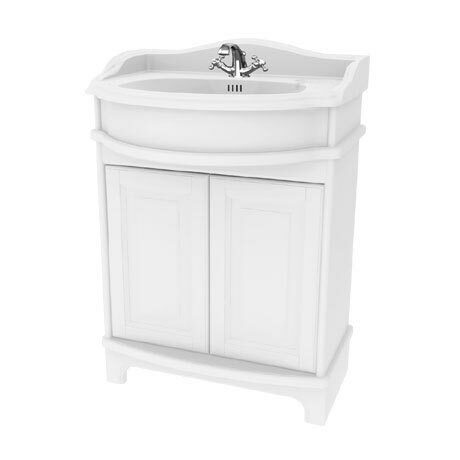 Also includes a pair of traditional chrome and white ceramic knobs that adds character to this elegant unit.